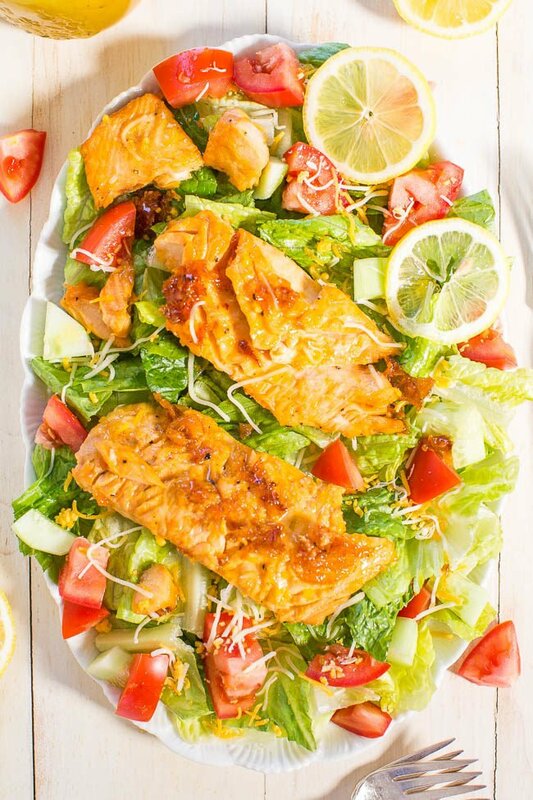 Honey Dijon Salmon – EASY, ready in 20 minutes, juicy, tender, and so FLAVORFUL from the honey, Dijon, and lemon juice!! 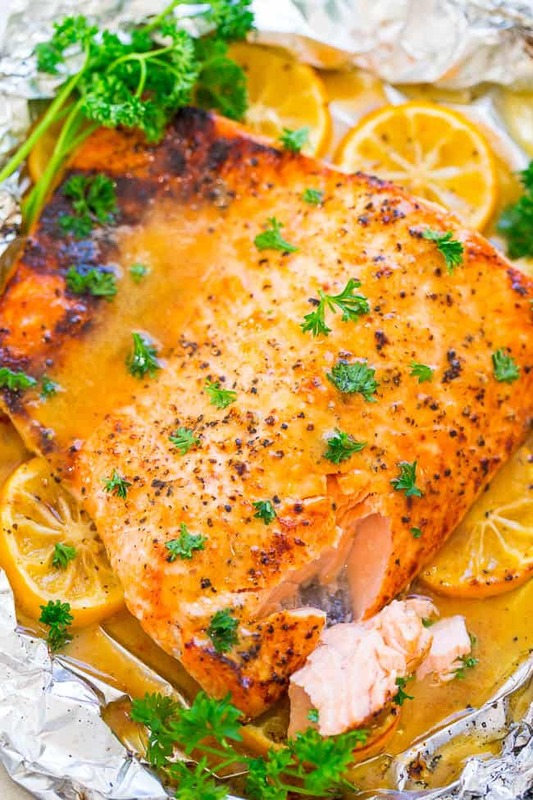 If you’re trying to incorporate more fish in your diet, this is THE RECIPE to make!! Everywhere I turn I read that salmon is so good for you and that you should try to eat more of it. 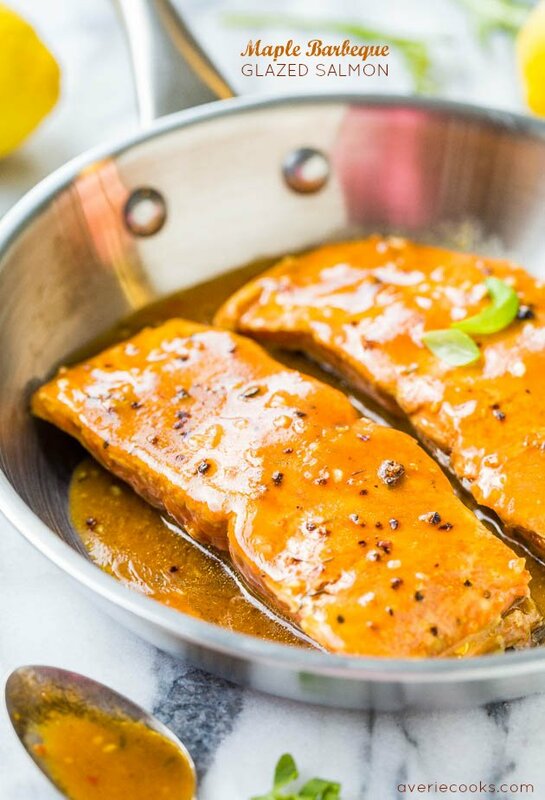 That reminded me that I hadn’t made it in awhile and I don’t know why after tasting this incredibly flavorful and tender salmon that’s so fast and easy. 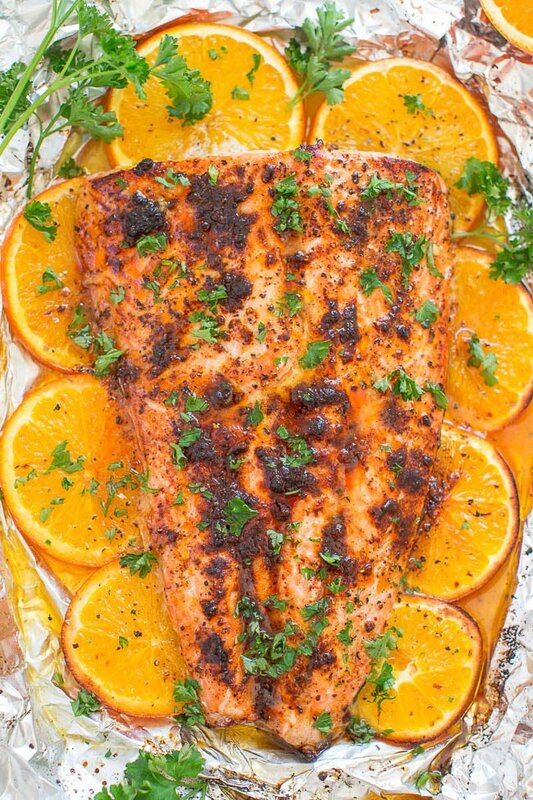 The recipe is a spinoff of my recipes for Sheet Pan Honey Lemon Salmon and Sheet Pan Orange Chili Salmon. This version incorporates Dijon mustard along with the honey and lemon juice. Simple ingredients that you probably have on hand that deliver scrumptious results. 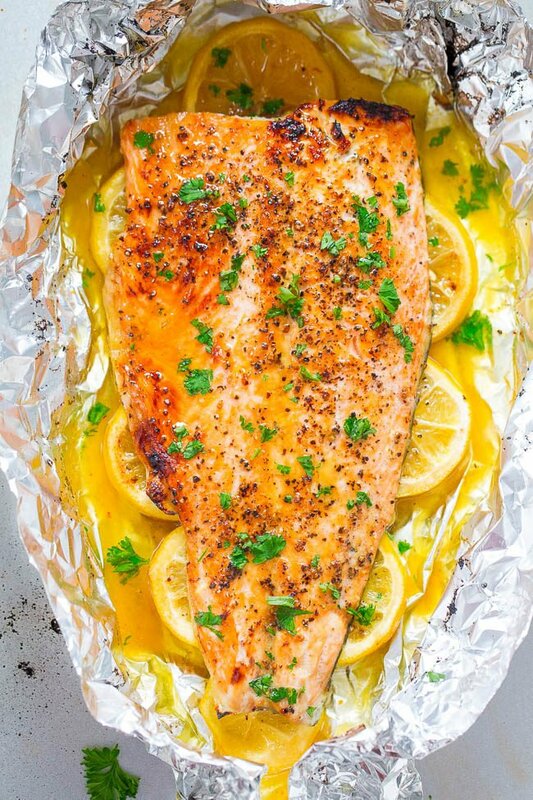 It’s impossible to end up with dry salmon because the salmon bakes in a mixture of butter, honey, Dijon, and lemon juice. It coats every bite of salmon and makes it so wonderfully juicy. There is nothing worse than dry fish (or protein of any kind actually) and you don’t have to worry about that at all here. Whether you need a fast and easy weeknight dinner recipe to a recipe for easy entertaining, this one has you covered and cleanup is as easy as tossing away the foil. Love foil pack recipes. Stir in the honey, Dijon, and lemon juice. Pour or spoon about two-thirds of the mixture over the salmon; reserve remainder. Evenly season with salt and pepper, to taste. Seal up the foil. 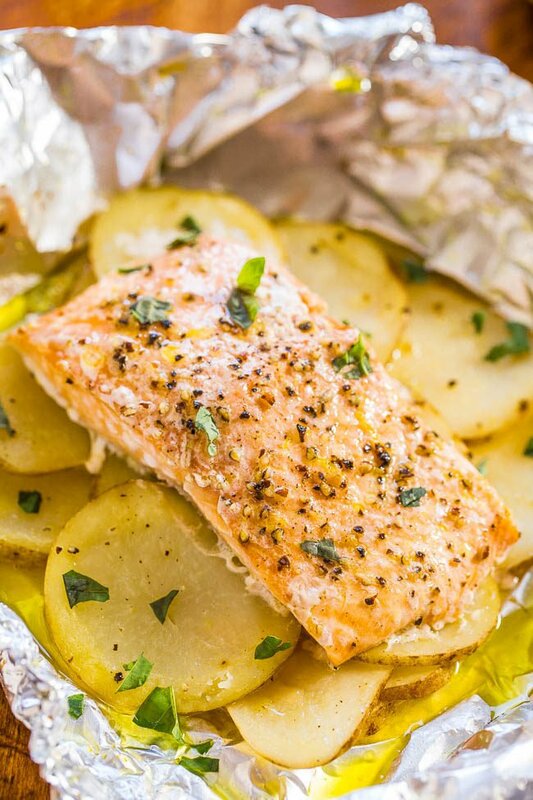 You may need to add another sheet of foil on top in order to seal it, depending on the shape of the salmon. Crimp or pinch the top and bottom pieces of foil together; get it as air-tight as possible but it doesn’t have to be perfect. If you have time, set aside to marinate for about 10 to 15 minutes (enhanced flavor). Spoon the reserved buttery mixture over the salmon, if desired or necessary. Use your judgment and if there’s already lots of juice/sauce you don’t need to add it because you don’t want it to start leaking. If you have extra buttery mixture, it’s great served over the finished salmon. I just love anything made with fish.Can i make the same recipe with any other fish? I’ve only made it with salmon so can’t give my thoughts on other fish – there are so many different varieties and they will all cook very differently. Mmm, what a great way to eat salmon! Pinning this and totally making it! I’m obsessed with salmon these days! Thanks for pinning (I just pinned your wine slushies too…mmm!) and if you do try it LMK! 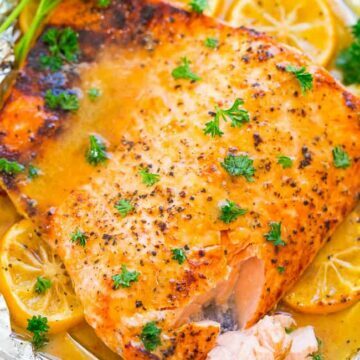 This salmon needs to happen in my kitchen soon! Sounds absolutely delicious! 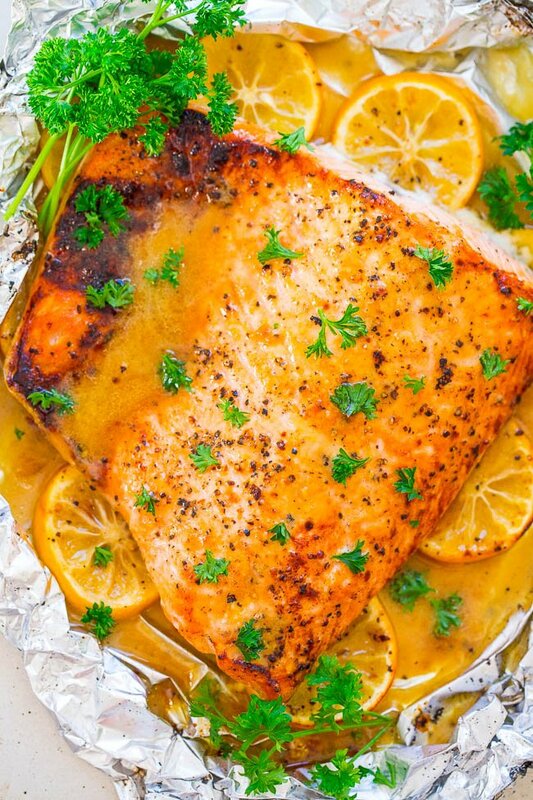 This looks so delicious–salmon is my favorite fish and I love the idea of finishing it under the broiler for just a bit of crispness at the edges! 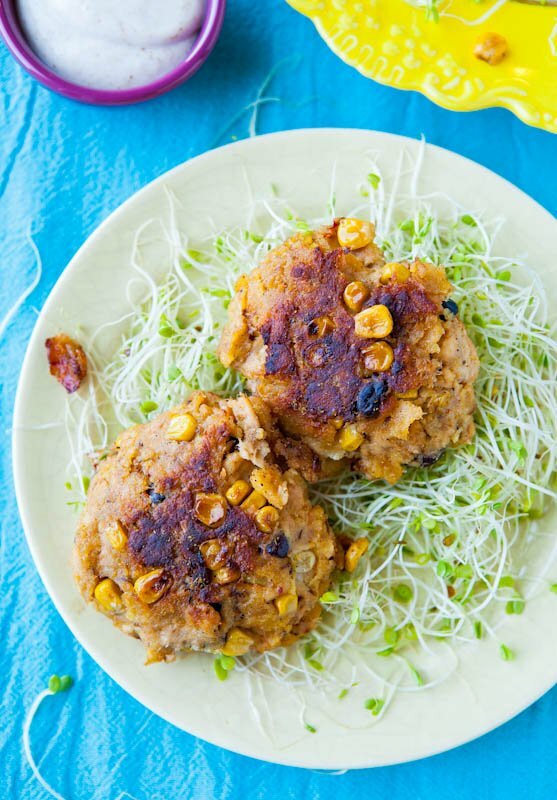 This will be great for an easy meal Friday! I love finishing it under the broiler for just the reason you said – that bit of crispiness at the edges is so good! Jon requested fish tonight so this was perfect. We love the sauce and the whole recipe is just so easy! 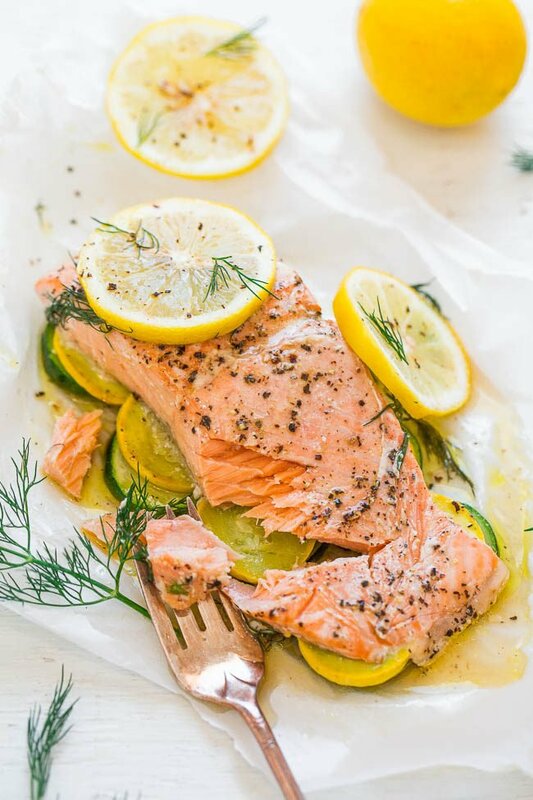 All of your salmon recipes are delicious and this one will definitely go into the rotation too! Glad that his request for fish was easy and that you loved the results! 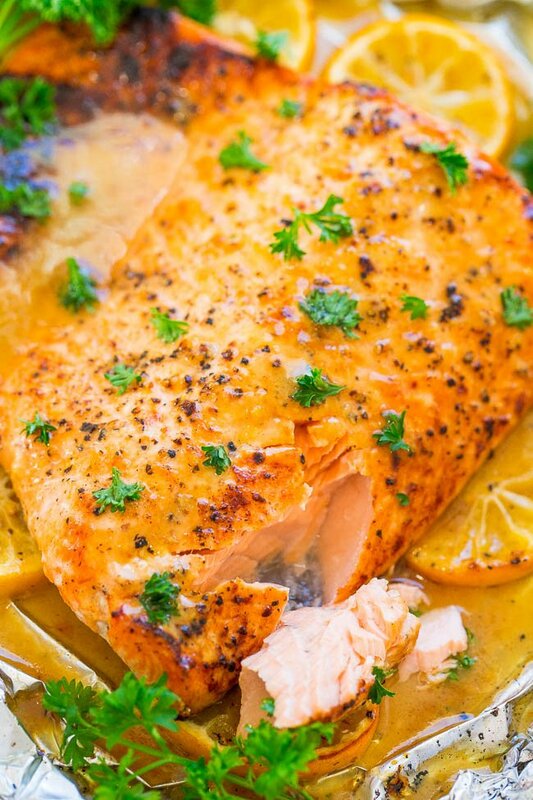 We love salmon as well and glad you have enjoyed all of my salmon recipes! Made this, and everyone approved, including my 3, 4.5, and 6.5 year kids. Great and super easy! I used orange in place of the lemon, as I didn’t have lemon. Thanks for making it almost immediately after I posted it and glad it was a hit with the whole family! Orange is a nice touch indeed with salmon. Thanks for the 5 star review and glad it was a hit with the whole family! Glad you will make it again! Can you advise how to adjust the recipe if I have a honey Dijon mustard? Or do I keep with the same honey amount? Also what will happen if I put marble syrop enstead of honey? All of these are good questions and really the only way to know the answer it to experiment on your own and see what will happen. Enjoy the process!